Hi there, I’m Tiffany. I’m a lot like you. I am married to my best friend (super cliche I know, but it’s true, no one else I’d rather hang with). 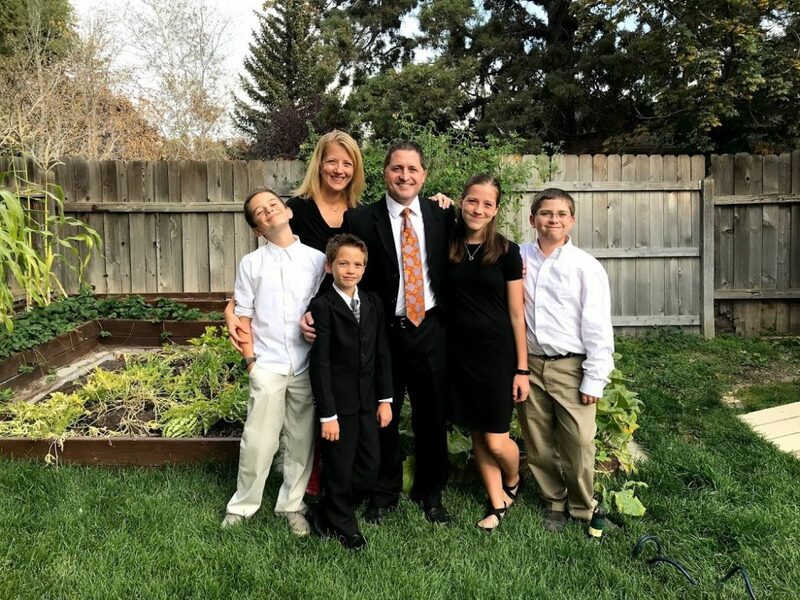 I am a mom to four kids, and a member of the Church of Jesus Christ of Latter Day Saints…and mostly, I’m a woman trying to grow closer to my Savior each day. With my whole heart I want to create a place where YOU can come to find encouragement, inspiration and maybe a little bit of cute to print off and hang on your wall. Creating meaningful ways to share the gospel, love and fun is what this website is all about, and I hope you find a reason to smile every time you come by. I have a big library of free printable gift ideas, inspirational prints and cute stuff that I just know you will love! I went to school for web design and photography, fell in love with the creative part of it…and not so much with the coding and other people’s expectations. Creating printable cuteness in Photoshop, or drawing and hand lettering on my iPad or on paper is soooo much more fun for me. I love that I get to share my fun with you! I am passionate about decorating and making things cute. My husband and I are remodeling our home in Bend Oregon. You will usually find me rearranging furniture or changing out my mantel decor if you stop by unannounced. If you stop by announced, I will have a plan to put you to work, ha! I’ve been a member of the Church of Jesus Christ of Latter Day Saints my whole life, my testimony, like so many of yours, has ebbed and flowed with the seasons in my life. The last couple of years, my conversion has been strengthened in leaps and bounds and I am so excited to have the knowledge and peace the gospel brings. I’ve found that the more I am growing personally, the less scary it is to share, because the joy is just too much to keep inside. I LOVE to come up with gift ideas, helps for your calling and holiday fun so if I’m lacking in an area that you need more ideas in, please let me know! Want all the cute, free printable stuff?